s-tui is a terminal user interface for monitoring the CPU frequency, utilization, temperature and power. 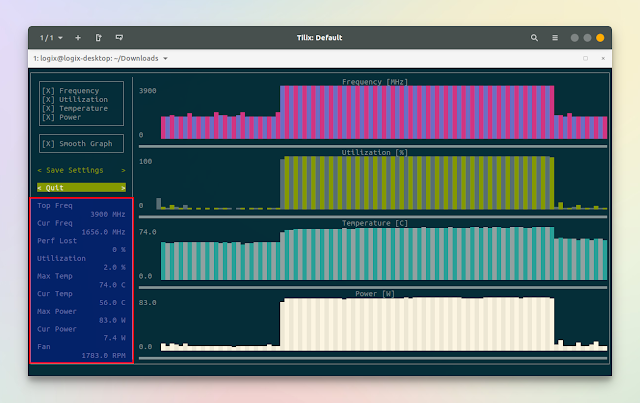 Besides monitoring your CPU using colored graphs, the TUI (terminal user interface) application can also stress test your CPU using stress or stress-ng. 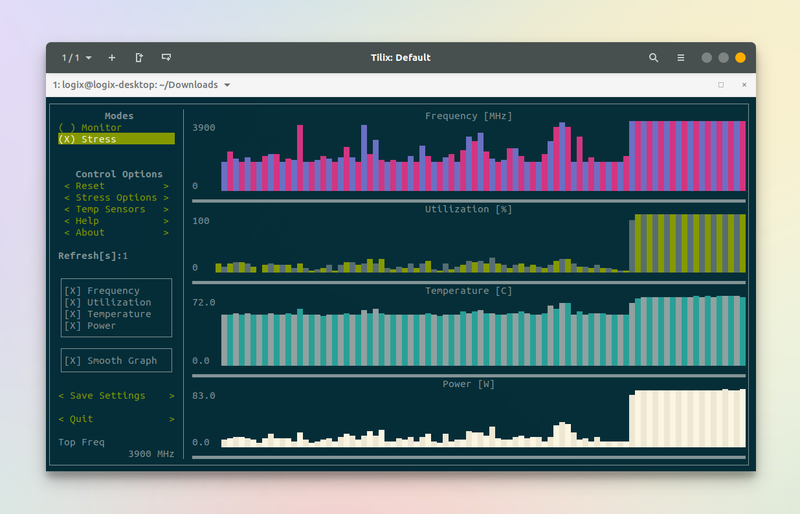 The stress test is configurable, allowing you to specify parameters like time out, Sqrt() and Sync() worker count, Malloc() / Free() worker count, and more. s-tui can also integrate with FIRESTARTER, a process stress test utility, though note that this requires building s-tui from source, and apparently FIRESTARTER doesn't work on all systems. What's more, s-tui allows running custom shell scripts when certain thresholds are reached / exceeded, for example when the CPU temperature or utilization reaches a certain value. See how to do this here. For its user interface, s-tui uses Urwid, a console user interface for Python. The tool is lightweight, requiring minimal system resources, and it doesn't require an X server to run. The link above includes Ubuntu / Linux Mint installation from PPA, Arch packages and PIP installation (it's not recommended using pip with sudo!). A s-tui binary is available for download here (download the "s-tui" file).